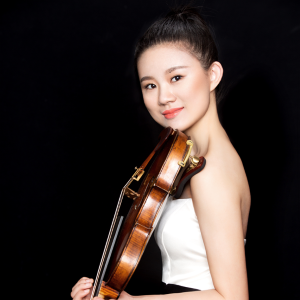 Violinist Yiying Jiang, born in 1998 in Anhui, China, is now pursuing her Bachelor of Music in the Central Conservatory of Music with Ti Zhang since 2009. Former teachers include Yaoji Lin and Nan Xie. Second Prize in junior group of The 10th National Violin Competition in 2012. The South Korea National Assembly invited Jiang where she performed as the soloist and concertmaster of the Four Seasons Chamber Orchestra attached to the China Youth Symphony Orchestra in Seoul, South Korea in 2013. She was invited to perform with Paul Coletti in the 1st International Viola Teaching Seminar in 2016.